Back when I was training for my first half-marathon, I quickly realized the single handheld water bottle I was using worked great up to 5 or 6 miles. If I was going to go farther, I was going to need a better system. My solution (We’ll call this version 1.0) was the Nathan Speed 4 Waist Pack. 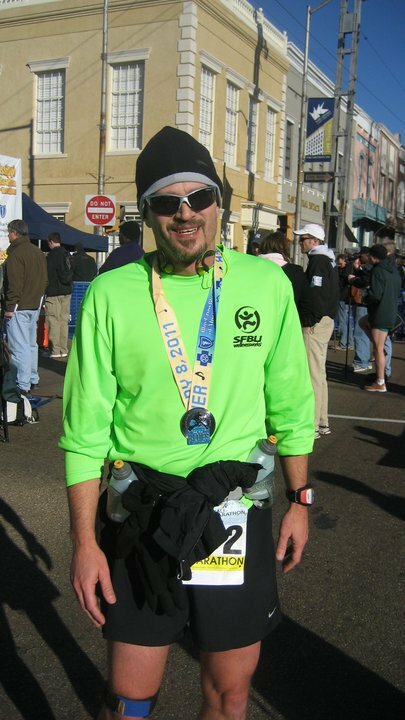 Version 1.0 worked well enough to get me through the Mississippi Blues Half-Marathon and through all the long training runs leading up to the Pensacola Beach Half and Renaissance Half. Maybe I value function over form or maybe I just have bad taste. To my credit, I knew better than to ask anyone’s opinion about how the bottle belt looked. But, I didn’t make it out of the house unseen. Somewhere in the midst of Robin’s hysterical laughter, was the comment “You look like you’re going into battle.” From that point on, the cool sounding “Nathan Speed 4 Waist Pack” has been known as “the grenade belt”. 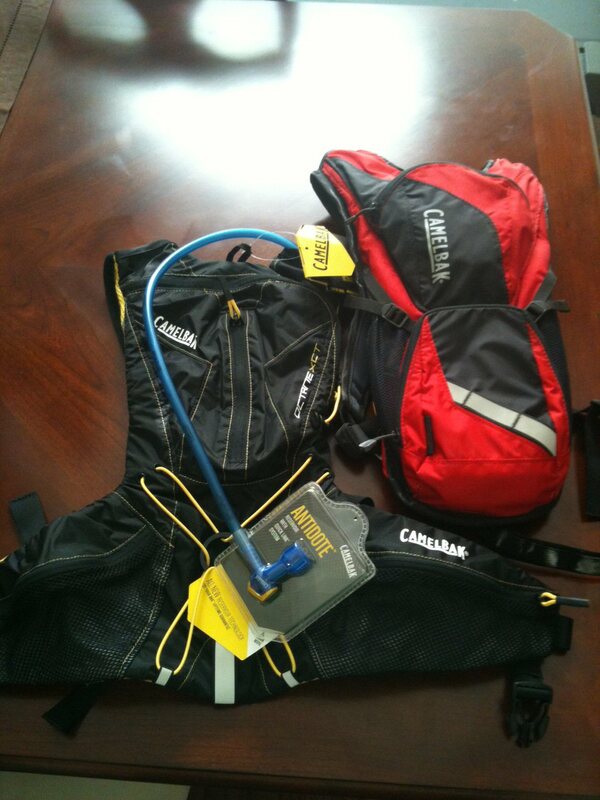 While on a business trip to Atlanta, I was browsing through a Sports Authority store and came across a deeply discounted Camelbak Rogue hydration pack. I judged this to have a much higher coolness factor than the grenade belt and the price was right to give it a try. Welcome version 2.0. Where have you been all my life? I love having the ability to carry a lot of fluid, a lot of gels, my cell phone and practically any other small item that might be necessary for a self-supported long run. I love the convenience of the always ready drink tube. I love the streamlined feel of a small backpack. I love that fluids stay cool inside the semi-insulated pack. I love the coolness factor. I love my Camelbak(s).